"Fernando Alonso has not had the fastest car this season and he and the team have made mistakes, but he has come through adversity and just missed a third title. "Despite a number of errors, such as spinning in Australia, jumping the start wildly in China, and crashing in Monaco and Spa, he remained a championship contender as he has done for four of the past six seasons. "Back in July, when he was 47 points behind after a drive-through penalty at Silverstone, he still said 'I can win this'. You have to admire his confidence and inner steeliness. "Despite the pressure the team took after the Hockenheim team orders saga, there is no doubt a cornerstone of Ferrari's success has been Alonso's ability to drive the whole team forward. 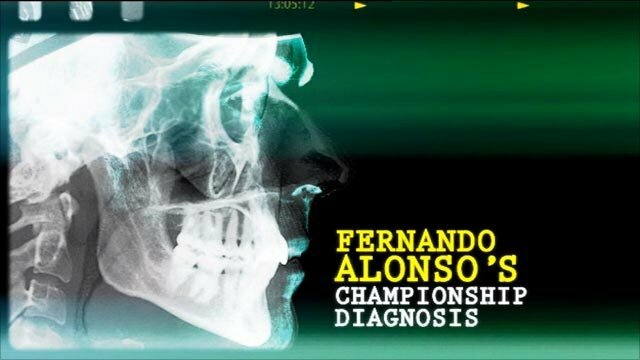 "Alonso is strong in the head and that is why he is a great sportsman." You have to be talented and lucky, but it's very enjoyable! What is the biggest perk of the job? Driving these amazing cars. We all love motor racing and Formula 1 has the best technology so we are fortunate to be behind the wheel of these cars. Hopefully as a great champion. It was my first race in Australia 2001 with Minardi. There was no chance to test before Melbourne and so I arrived there never having driven the car. During Friday practice I nearly hit the car in front of me in the pit lane as I couldn't find the neutral button. I found it at the last moment and managed to avoid a collision! Who is the worst dressed Formula 1 driver? It's not an easy question to answer - perhaps Michael Jordan. Being at home with my family and having a nice dinner together. What is the most expensive thing that you own? What is your favourite music to drive to? With Jim Carrey - the actor - because I'm sure he would make me laugh. Tell us something about yourself that most F1 fans might not know. The fans know quite a lot already! I don't think I have any secrets. Angelia Jolie or Keira Knightley?